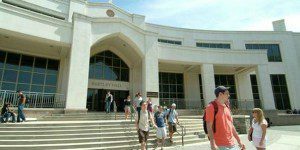 The Villanova University School of Business Online MBA program consists of 21 courses, which are completed over six semesters (two terms per semester). The program, which consists of 48-total credits, can be completed in two years. While it is designated as a digital program, students do meet in person with fellow classmates for group projects, as well as faculty, during the program period. There are five specialization options: finance; marketing; analytics; international business; and strategic management. The Villanova Online MBA curriculum is divided into three principle sections: core courses; Villanova School of Business pillars; and capstone projects. As part of the capstone course option at the end of the program, students have the option to take a seven-day international immersion. There are currently 243 students enrolled in the Villanova Online MBA program. Those enrolled join with a GPA of 3.2, a GMAT average of 560, and 9.25 years of professional work experience. Among the currently enrolled students, the average age is 32-years old. Approximately 59.3 percent are male, 31.7 percent are female, and 17 percent are of minority status. The average individual class features 21 students. The cost per-credit for the Villanova Online MBA is $1,350, with the total cost at $64,800. These rates are consistent for students both in and out-of-state. As with all of Villanova’s MBA programs, various forms of financial aid are available for all students. Military veterans are eligible for the Yellow Ribbon Program for enrollment. An estimated 12 percent of enrolled students are sponsored by their employer. Applications for the Villanova University Online MBA are admitted on a rolling basis.